The savannah monitor (Varanus exanthematicus) is a medium-sized species of monitor lizard native to Africa. It’s also known as Bosc’s monitor, after French scientist Louis Bosc. Common subspecies: There are a number of subspecies of the Savannah Monitor; the exact number is currently the topic of controversy. The White-throated and Black-throated Monitors were considered subspecies of the Savannah Monitor until 1989 when they were split off into separate species. Origin: The Savannah Monitor is native to Sub-Saharan Africa north of the Congo River in tropical savannahs. Free-Ranging Habitat: Savannah Monitors live in tropical savannahs that experience seasonal monsoons with intermittent periods of drought. 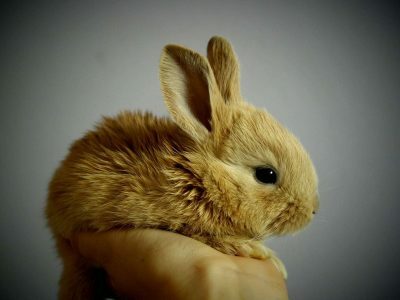 They have adapted to a variety of habitats such as woodlands and rocky deserts. Suitability as Pets: Savannah Monitors are one of the most easily tamed monitor lizards but can grow quite large and require a correspondingly large habitat. If procured when they are older, they have the potential to be skittish and are considered one of the more “shy” monitors. Adult Size: 2.5 to 4 feet in length (0.8-1.3m). Physical Characteristics: The stocky Savannah Monitor is considered a “medium-sized” monitor with a wide head and short neck and tail. They are typically broPostswn and grey with paler spots over the back and, like all monitors, have a forked tongue. 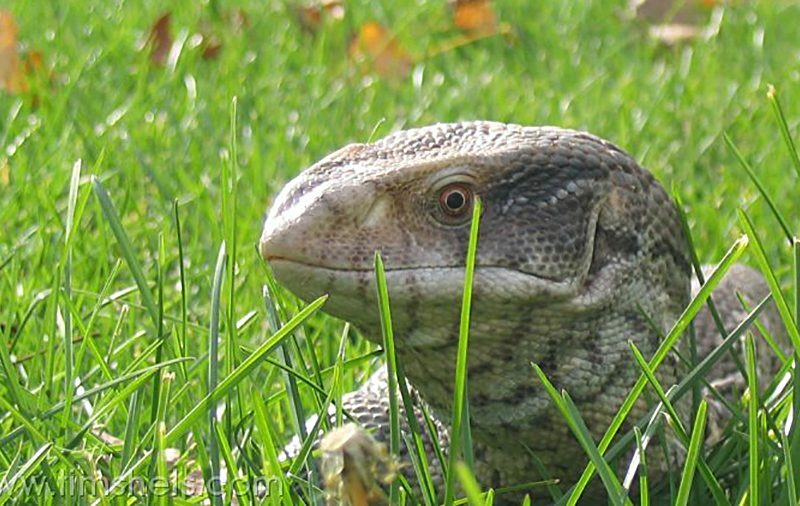 Savannah Monitors are smaller than White- or Black- Throated Monitors, have larger osteoderms and their nostrils are located closer to the end of the snout. An Asian Water Monitor out for a walk. Behavior: Savannah Monitors are active during the day and may hide in their burrows if it gets too hot. They use their tongues constantly to sense the environment, more so when they are eating. They can also be quite aggressive when cornered or if another monitor invades their territory. Captive housing: Adult monitors should be kept in a large enclosure, at least 3 x 6 x 3 feet in size (depth x width xheight, 1 x 2 x 1m); 4 x 8 x 4 feet is better. They should be housed on a substrate that allows them to burrow, such as soil or cypress mulch. Supplemental ultraviolet light (UVA and UVB) is recommended. Environmental Temperature/humidity: The hot end of the cage should be 90-100 degrees F with a basking spot that approaches 110 degrees, and the cool end should be 75-80 degrees. Humidity should be fairly high without being wet: over 60% with good ventilation is appropriate. Environmental Enrichment: The most important thing to have in a Savannah Monitor enclosure is a deep substrate to allow them to burrow. They seem to enjoy rocks, etc. on which to climb as well. 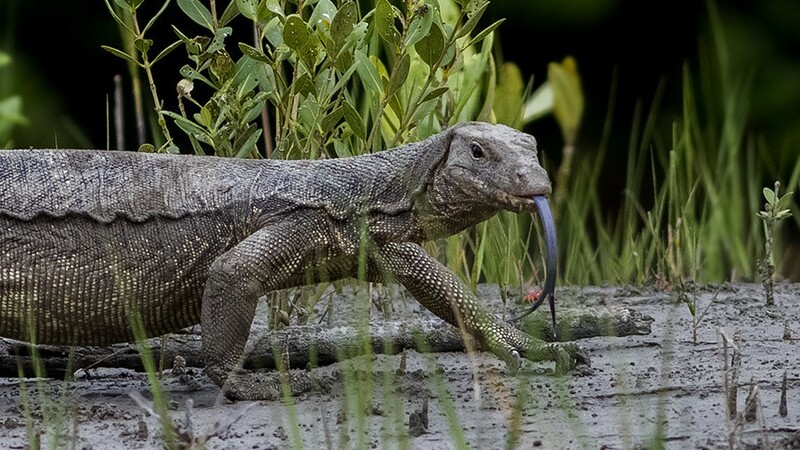 Diet: Savannah Monitors are carnivores and do well on a rodent diet although they primarily eat invertebrates in the wild, including a large number of snails. Young monitors can be fed crickets and pinkies. 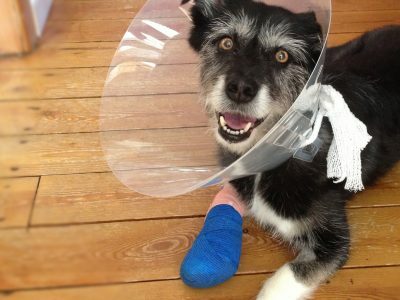 Restraint: Savannah Monitors can bite and scratch, but are usually calm for typical procedures. If they move excessively they can be restrained like an Iguana, with the front legs held back along the body and the rear legs along the tail. 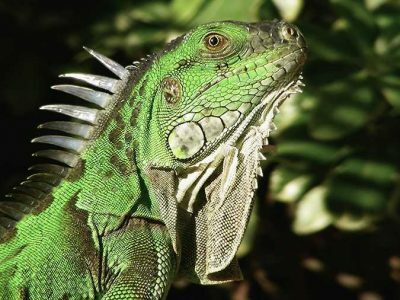 Anesthesia: Similar to that of Iguanas and other reptiles; injectible premedication, intubation and isoflurane or sevoflurane anesthesia are usually safest. Reptiles should be kept in their optimal temperature zone during induction, anesthesia and recovery. Preoperative bloodwork should be performed and IV or intraosseous fluids should be given during anesthesia. An example of an anesthetic protocol is: premedicate with butorphanol, induce with isoflurane or sevoflurane by chamber or mask and maintain gas anesthesia via endotracheal tube. Intermittent positive pressure ventilation should be done 4-6 times per minute at a pressure below 12 cm H2O. Most Common Disorders: Parasites are very common, as many of the monitors in the reptile trade are wild-caught. Obesity is common, because Savannah Monitors will eat voraciously whenever food is available. Other common maladies include gastrointestinal foreign bodies, trauma, metabolic bone disease and respiratory infections. Zoonotic potential: As with any reptile, Salmonellosis is a concern. Diemer, D. 2000. “Varanus exanthematicus” Animal Diversity Web. Reptile News Press. The Complete Guide to Keeping Monitors. 1992. Aurora, CO. Bennett, Daniel. Monitor Lizards : Natural History, Biology and Husbandry. 1998.